Leicester host Newcastle United at the King Power Stadium on Monday night hoping to keep their five point cushion at the top of the Premier League table. Don't miss our LEICESTER v NEWCASTLE betting preview with expert tips and predictions, starting lineups, enhanced odds, free bets & no deposit bonuses on the Monday Night Football! Leicester find themselves five points clear at the top of the table going into the final nine matches after a 1-0 victory over Watford last time out. They have lost just one of their last 17 league games at the King Power Stadium (W11, D5) and have kept a clean sheet in five of their last six Premier League home matches. The Foxes have no new injury problems, with Riyad Mahrez declared fit to play. N’Golo Kante and Danny Drinkwater are expected to continue in central midfield, with Shinji Okazaki likely to keep his place as the support striker behind Jamie Vardy. The back four of Danny Simpson, Robert Huth, Wes Morgan and Christian Fuchs should also remain unchanged. A 3-1 home defeat at the hands of AFC Bournemouth last weekend, their third straight loss, left Newcastle in 19th place and manager Steve McLaren has been sacked and Rafa Benitez has been appointed as his successor. The Magpies have lost their last 6 away matches (actually 17 of their last 21 Premier League), scoring just eight goals in their last 20 travels. Newcastle are ravaged by injuries and leak goals on the road: Benitez will be unable to remedy either of these short comings over the weekend. Andros Townsend, Yoan Gouffran and Papiss Cisse are all injury doubts ahead of the trip to Leicester, while defenders Fabricio Coloccini and Chancel Mbemba are joined by Paul Dummett on the sidelines. Leicester are looking for a third consecutive win over Newcastle. The previous two have been by 3-0 scorelines. Indeed, Leicester have won their last three in a row against Newcastle without conceding. LEICESTER (4-4-1-1): Schmeichel; Simpson, Huth, Morgan, Fuchs; Drinkwater, Kante, Albrighton, Mahrez; Okazaki; Vardy. 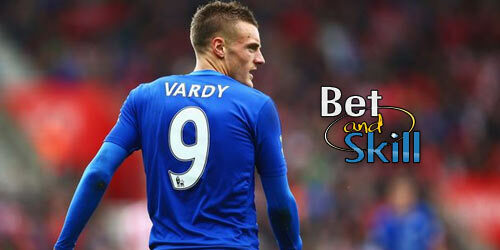 Enhanced odds: 5/1 Leicester to win! Risk-free! Huge boost: 15/1 Newcastle to win! Risk-free! Price boost! 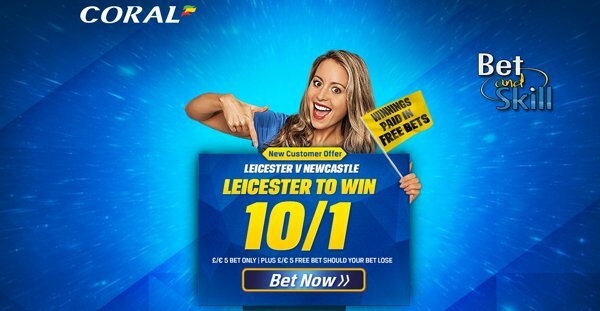 10/1 Leicester to beat Newcastle + £5 free! Crazy price! 5/1 Leicester to win the match! "Leicester v Newcastle predictions, betting tips, lineups and free bets (Premier League - 14.3.2016)"